Synopsis: Two years ago, 21-year-old Kate Edwards became deathly ill and slipped into a coma. While unconscious, she crept into the mind of a missing boy and awoke with the knowledge of his location. Friends and family were skeptical and wary of her new ability to see into the minds of others. Their fears prompted Kate to keep her psychic powers a secret. Feeling alienated, she dropped out of college and spent most of her days holed up at her mother’s home. Now another child has been abducted. Police detective Jared Corbett seeks out Kate for her help in solving the case. Reluctantly, Kate agrees and they must work together to bring 8-year-old Cori Preston home to her family. Although attracted to one another, Jared has a girlfriend with ties to the abduction case and Kate is sarcastic and guarded since her coma. With visions she can’t control and an uncontrollable attraction to the detective, she wonders if she can leave the past behind and finally stop hiding from the world. Otherwise, Cori may be lost forever. Kate shifted in her seat and wondered how much she should confess about her night with Sebastian. Her inebriated tongue may end up revealing too much to Jared and she could find herself admitting how she couldn’t stand to kiss Sebastian because she was falling for him. He gave her a long look and she began to guess at how terrible she appeared. She hadn’t checked out a mirror in a long time and Sebastian’s moves on her probably made her resemble someone who recently had a roll in the hay. “I should get you home,” he said at last. He was pulled out of his reverie and began to drive out of the parking lot. “It was your first day of kindergarten. You were dressed in Transformers stuff practically head to toe. You were calling yourself Optimus Prime.” She giggled loudly as she visualized Jared as a punk kindergartener. Kate swallowed hard when she saw how upset Jared looked. His features were tight and the dashboard illuminated moisture in his eyes. “Jared, I’m sorry…” she started, but her sentiment trailed off when he pulled the car over to the side of the road suddenly. Looking around, she realized they were at the end of her street. “What do you mean?” she asked leaning against the hood. Jared rarely seemed to lose his cool and it made her apprehensive about how he could be feeling. Was he agitated because of the vision? Or was he feeling something for her and he didn’t know how to deal with it? “I like you, I do, but maybe we’ve been spending too much time together. It’s probably not a good idea for us to be as close as we’re becoming,” Jared said without meeting her eyes. “But you know I want you?” she asked in her most seductive voice. The way he was protesting made her confident that he was finding it as impossible as she was to fight off their attraction. Putting her hands on her hips and sticking out her chest, she was hoping her sudden loss of inhibitions would pay off with a kiss from him. Jared stood in front of her and grabbed her by the shoulders. His eyelids were lowered and he moistened his lips. The pull was undeniable and it felt completely natural to close her eyes and move to his mouth for a kiss. 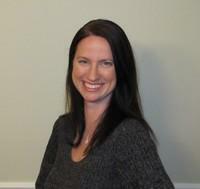 About the author: Heather Topham Wood graduated from the College of New Jersey in 2005 and holds a bachelor’s degree in English. Working full-time as a freelance writer for publications such as USA Today, Livestrong.com, Outlook by the Bay and Step in Style magazine, she writes fiction novels in her spare time. She resides in Trenton, New Jersey with her husband and two sons. 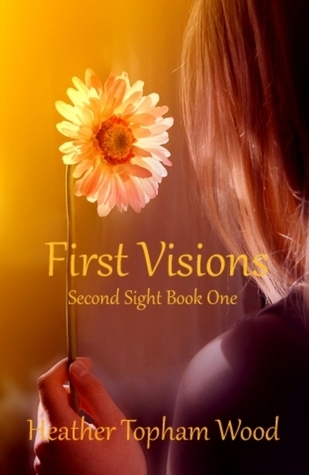 First Visions is the first novel in the Second Sight Series. Thanks to the Reader Girls for letting me stop by during my blog tour! Sounds intriguing! I am not a huge fan of paranormal work, but this seems right up my alley. This sounds really interesting! I want to read more!!! I am visit from the blog tour.